Payroll - Hire Us As Your Payroll Experts. Give Us A Call Today. | Joseph Falco Accounting Services, Inc. Allowing us to handle your payroll services is cost-effective, saves you time, and ensures that all IRS payroll regulations are met. We always provide easy to understand monthly, quarterly, and annual payroll tax reports, including W-2, W-3, and 1099 forms. When we are providing payroll services, we handle worker’s compensation audits, unemployment claims, social security audits, and child support audits. We also process w-2 and w-3 forms as well as 1099 and 1096 forms. Don’t let your payroll duties cause you sleepless nights—allow the professionals at Joseph Falco Accounting to provide expert payroll services. Our prices are more affordable than other local accounting services and we guarantee that no other firm will provide you with better customer service. Whether you’re in need of a complete range of payroll services or simply need assistance with some parts of the process, we can customize our services to fit your needs. When you’re a customer at Joseph Falco Accounting, your needs come before ours and we make our schedule fit into yours. 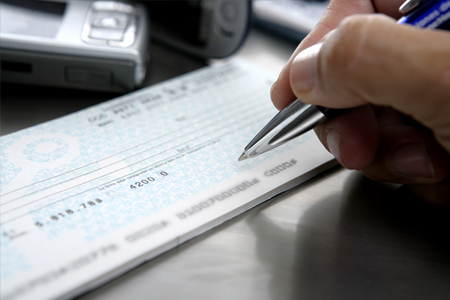 Contact us today and leave the hassle of your payroll duties behind.